It is the perforation of the center of the lower lip above the chin. 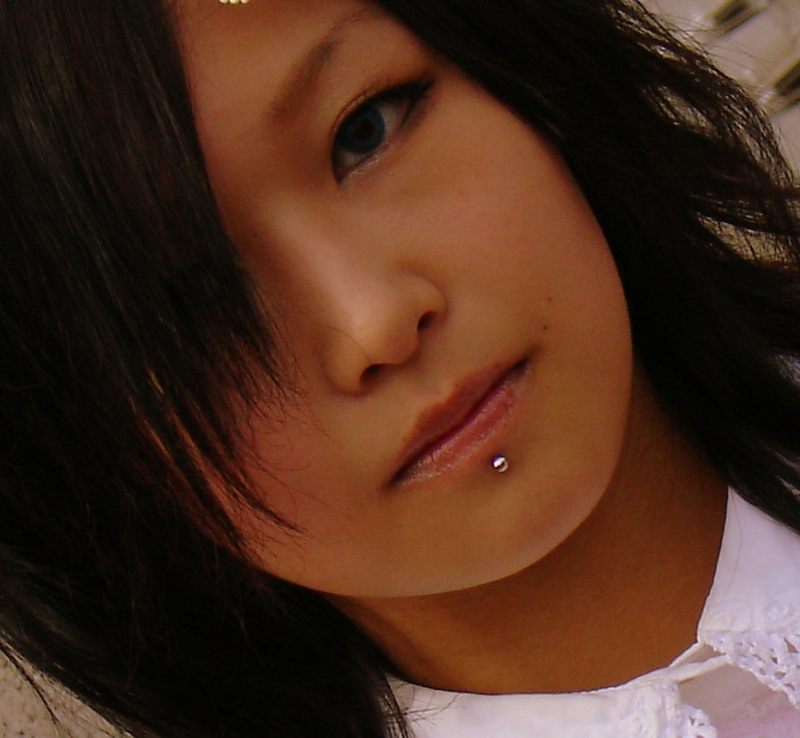 You can express your personality in a more creative way with a labret piercing by wearing varied styles of jewelry. 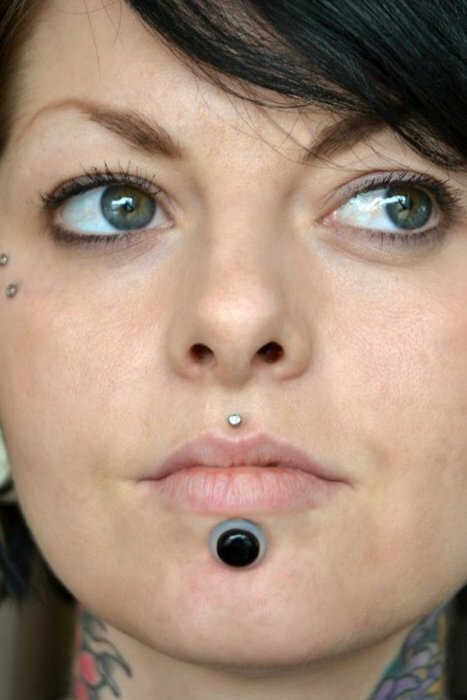 It is also known as center bottom lip piercing. Selecting a reputable piercing studio that has many years of experience in lip piercings is important. After the professional piercer cleans the lower lip, you would be given an antibacterial solution to rinse your mouth before the procedure. After the entry and exit points are marked, the bottom lip is clamped to pass a sterilized, hollow needle through the center. The jewelry is carefully inserted into the pierced spot. Although this bottom lip piercing hurts, handling it would not be difficult if you have a high pain tolerance. Localized swelling, bruising, and intermittent bleeding of the lower lip might occur for few days. 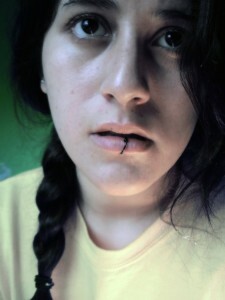 However, these are normal consequences of piercing that do not pose any serious problem. 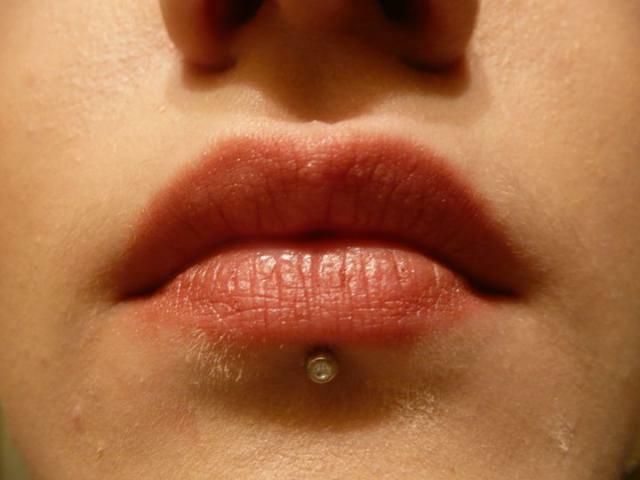 It takes around 3 to 6 weeks for the piercing to undergo complete healing. An infected piercing is marked by severe swelling, redness, soreness, and yellow discharge. If the symptoms get worse then taking quick medical aid is necessary. There is also a risk of teeth, and gum damage as the back disk of the jewelry keeps rubbing against the surface of the gum, causing erosion. Wearing jewelry of the right size might help in preventing the problem. 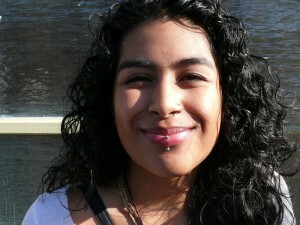 In some cases, poor placement of the piercing or use of wrong jewelry increases the chances of rejection and migration. Visit the piercing studio immediately if you experience severe irritation and discomfort. 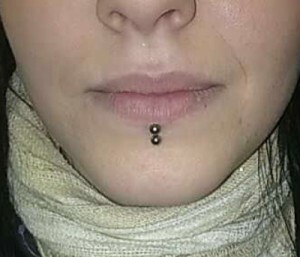 Labret studs, circular bars, and ball closure rings go well with it. 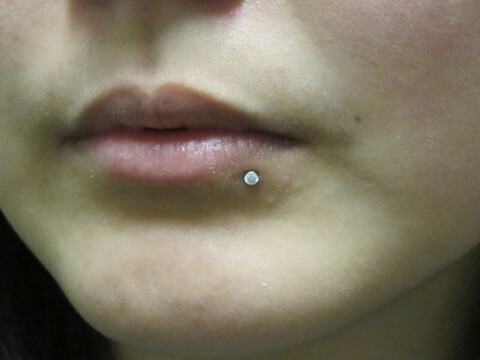 In most cases, a 16 or 18 gauge labret stud is used as the initial jewelry for the piercing to heal properly. 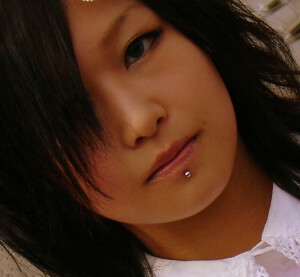 Oval or round labret plugs are suitable for larger piercings. 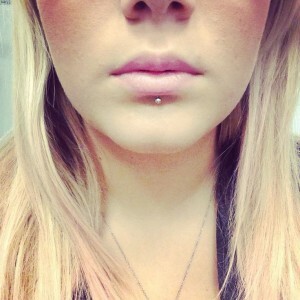 The price of the piercing is somewhere between $40 and $65 in any professional piercing parlor. A curved barbell is passed from the top of the lower lip for this type of piercing. Although it is painful, the risk of tooth erosion and gum recession is low as the jewelry makes less contact with the surface of the gum. 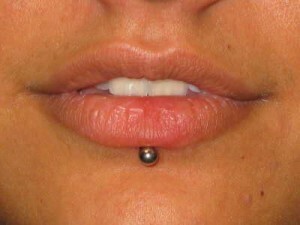 Here, the piercing is made through the lip surface in the horizontal direction. It is the perforation of the right or left side of the lower lip. Two perforations are placed at the center of the bottom lip. 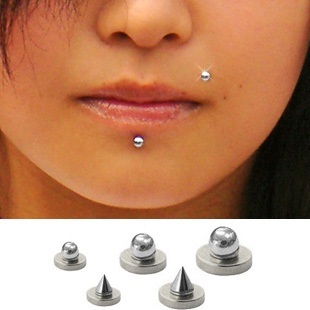 If you do not want to undergo through this painful process, then use magnetic labret studs or fake rings.